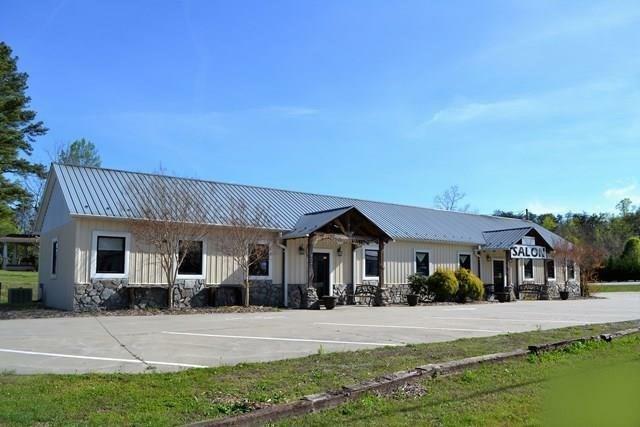 Commercial building with excellent income and rental history in the heart of Glen Alpine and close to pristine Lake James in western North Carolina! Wonderful visibility and high traffic counts have provided an excellent location for a successful business. Building is freestanding with current floor plan consisting of two units. Left unit is currently unoccupied and was previously rented as an office space. Right unit is a nail/hair salon and has successfully operated with same tenants since first built. Handicap accessible parking. Road frontage on three sides. City water and sewer. Duke Engery. Property located within the town limits of Glen Alpine. Zoning is Glen Alpine B-2. The data relating to real estate on this Web site derive in part from the Carolina Multiple Listing Services, Inc. IDX program. Brokers make an effort to deliver accurate information, but buyers should independently verify any information on which they will rely in a transaction. All properties are subject to prior sale, change or withdrawal. Neither Bluaxis Realty nor any listing broker shall be responsible for any typographical errors, misinformation, or misprints, and they shall be held totally harmless from any damages arising from reliance upon this data. This data is provided exclusively for consumers' personal, non-commercial use and may not be used for any purpose other than to identify prospective properties they may be interested in purchasing. © 2019 Carolina Multiple Listing Services, Inc. Data last updated 2019-04-25T13:59:09.81.